Housing. This is one of the developments that the FHAR participants visited, along with the structural and energy improvement work done in the Canyelles neighbourhood and the La Borda housing cooperative. 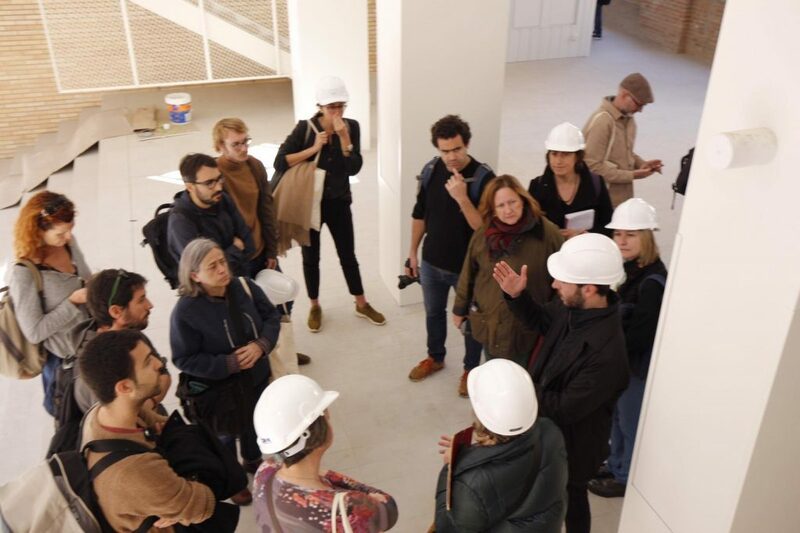 Attendees at the Barcelona Housing and Renovation Forum (FHAR), organised by the Municipal Institute of Housing and Renovation (IMHAB) of the Barcelona City Council, had the chance to visit three housing renovation and construction projects in Barcelona. 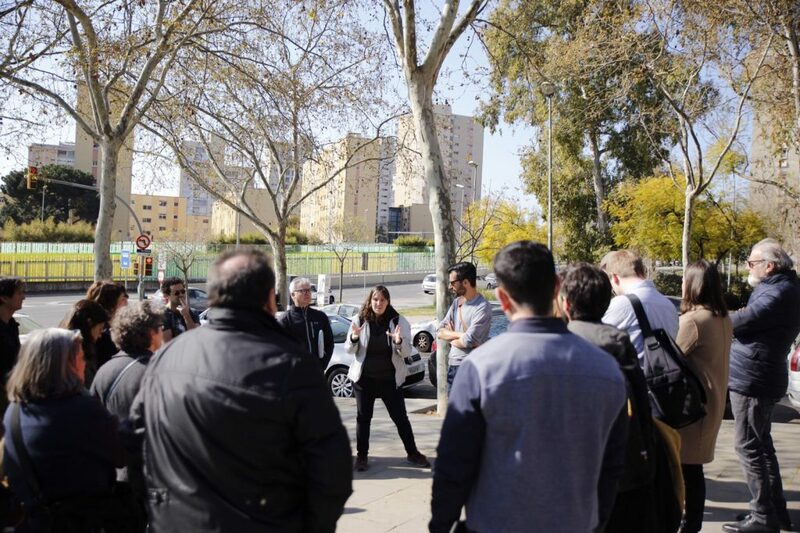 More specifically, they visited the renovations for structural and energy improvement in the Canyelles neighbourhood, the flats for young people in Fabra and Puig, and the cohousing development of La Borda. The Canyelles neighbourhood was built during the 1970s to respond to housing needs brought on by migratory waves. At that time, the main housing developer was the Municipal Housing Trust. Now, forty years later and after signing an agreement with the neighbourhood association, this municipal body carries out various renovation projects to correct constructive deficiencies that were made back then. In addition, through the European project GrowSmarter, they have been able to increase efficiency in energy consumption. They have also been able to improve the insulation of the facades and the roof, and the windows and blinds have been changed. The gas boilers have been replaced as well, and tools for monitoring and managing energy consumption in the homes were incorporated in the renovation. To observe the constructive changes and see first-hand the real impact of the actions carried out, those attending the FHAR were able to visit the area and the buildings, accompanied by the managing technicians: Patrícia Castillo, Toni Gassó and Verdiana Russo, as well as some of the neighbours. Castillo, Gassó and Russo explained the state of the building before the renovation, the interventions made, and how the problems that emerged were overcome. 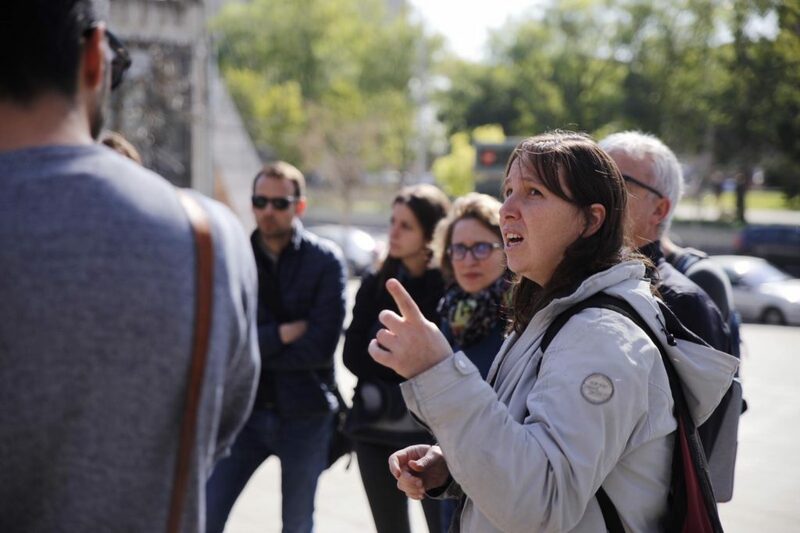 “From the Canyelles project, I would highlight the complexity of the management, because we had to talk with and convince the owners of 56 homes, many of whom were very sceptical of everything that was planned because of the low cost they would assume. They really did not believe it,” explained architect Patricia Castillo, who was in charge of the renovation work. The building where the intervention was carried out, to do the exterior renovation and change the blinds and windows for aluminium ones with a thermal break bridge, has a concrete tunnel-type structure, “and what was done as a first step was to put in isolation,” remarked Verdiana Russo, specialised in energy issues. On the roof, which is made of asbestos, a preventive intervention was made since it was in good condition, and insulation was installed under the roof and on the terraces. “Now the building is completely insulated,” said Russo. 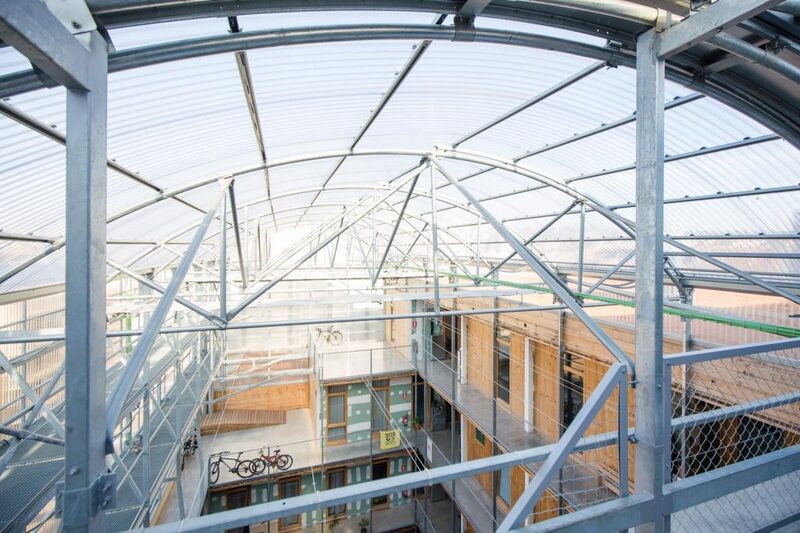 The initiative was carried out thanks to a public-private agreement between the Housing Consortium and Naturgy, within the framework of the European project GrowSmarter. With all the grants, the total subvention covered 80% of the cost, “but in order to carry out the renovation project, we needed 80% of the owners to agree,” explained Castillo. 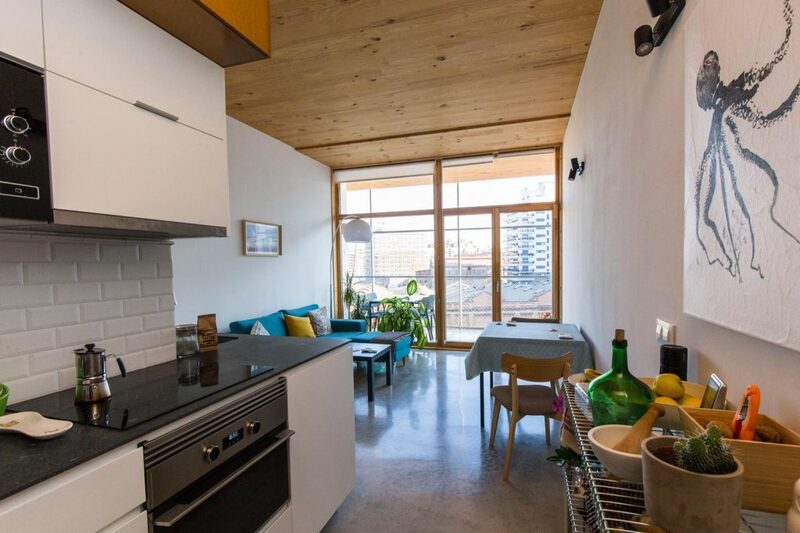 “The most complicated thing was convincing each neighbour of the opportunity being offered to them: of replacing the windows, the blinds and improving their quality of life, since thermal and acoustic comfort and energy efficiency would increase,” added the architect. She highlighted the good work done by the president of the neighbours’ association, who was responsible for speaking with everyone, solving economic problems in cases where it was necessary, and encouraging dialogue so that the work could be done successfully. One factor that helped to convince the 56 diverse residents was having a sample flat, as well as word of mouth. “When one neighbour saw the result of the renovation, he or she would also join the initiative,” added Gassó. The three leading members who participated in the meeting held within the framework of the Forum highlighted the importance of establishing positive relationships with neighbours and gaining their trust. During the visit, we were able to access the property, go up to the roof and visit one of the flats that was renovated through the intervention. Currently, the project is in an evaluation phase to determine the savings that have been achieved. To do this, the managing technicians incorporated various measuring devices. Since completion of the intervention, they have spoken with the neighbours to find out how the changes have affected their comfort. 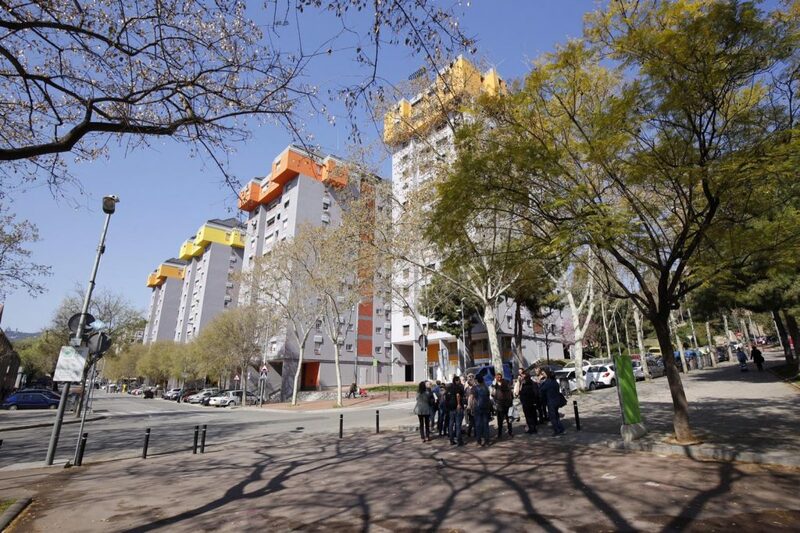 In 2009, the Municipal Housing Board approved a project to renovate the 65 blocks of the Canyelles neighbourhood, in Nou Barris, affected by carbonation – a structural disease that affects concrete and causes deterioration – with an investment of more than 30 million euros. This project included a technical and chromatic design plan that defined the range of colours and textures that could be applied to the different types of buildings that would be remodelled. The tones include colourful reds, oranges and yellows, combined with different shades of grey. 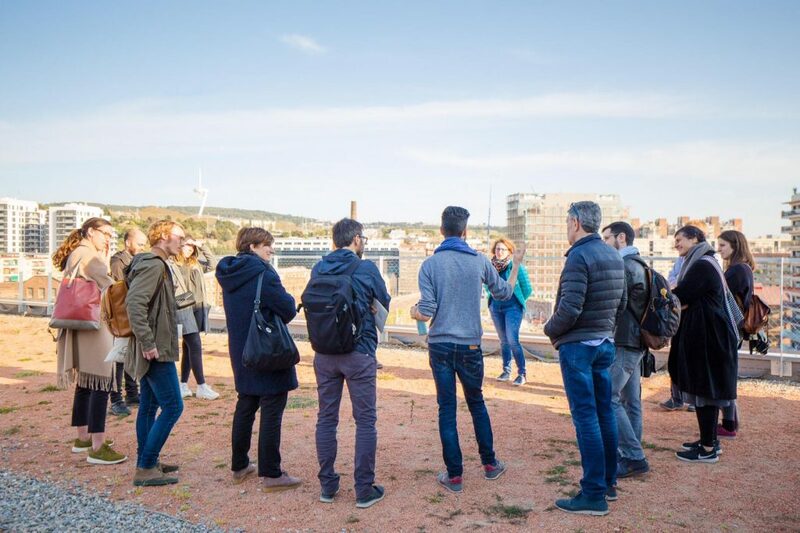 The chromatic project was agreed between the Canyelles Neighbourhood Association and the administration, with the idea to blend the neighbourhood with the Collserola mountain range, using cheerful colours. 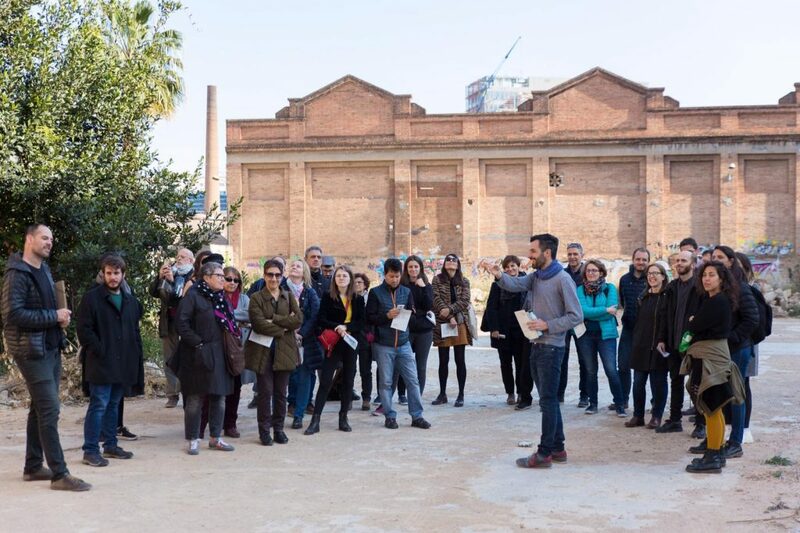 Another of the visits that the FHAR participants made was to the old Fabra i Coats factory premises in Sant Andreu, which is the site of a new housing development for young people under 35 years old, promoted by the Municipal Institute of Housing and Renovation (IMHAB) of the Barcelona City Council. The participants were accompanied by the technicians who are in charge of the project. 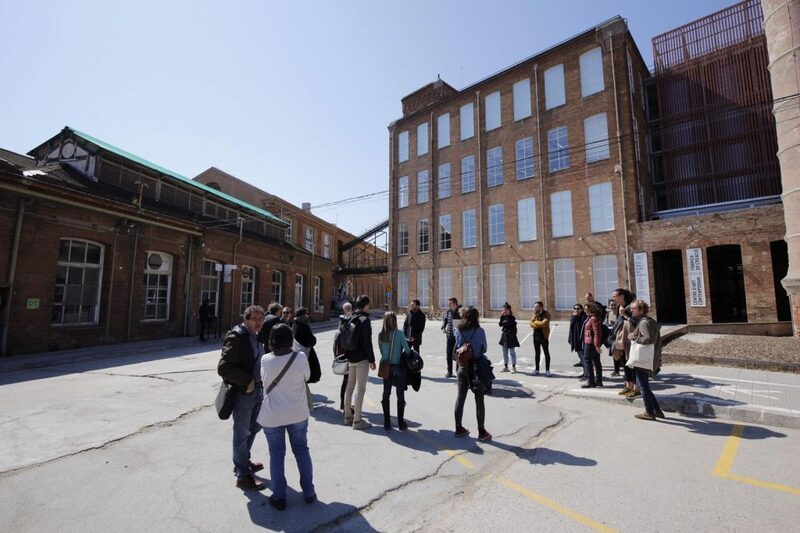 Visitors were able to observe how the work preserves the structure of the warehouse and the exterior walls, as well as other elements such as the old sliding door. The roof has also been renovated, and the interior spaces have been restructured. The renovation emphasises the openness of the spaces; the warmth of the materials used, such as wood; and the light that enters through all the windows of the old industrial warehouse. Altogether, the 5000 m2 space contains 46 new homes – 44 two-bedroom flats and two one-bedrooms adapted for people with disabilities, as well as communal areas and a space for the Colla Castellera Jove de Barcelona, ​​which will have a practice space in the basement adapted to prevent vibrations generated by the instruments. 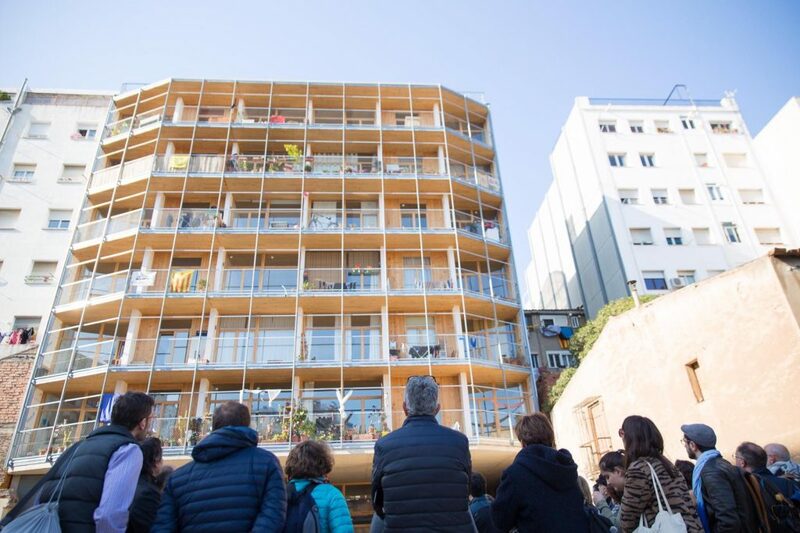 As explained by David Espuña, from Roldán + Berengué Arquitectes, the company that carried out the project, “this is a complex project, since a building was constructed within another building, or more precisely, 46 flats.” To this end, diverse materials were used, including wood and iron. “The combination of different materials is not always easy, but the final result was very satisfactory,” remarked Javier Astasio, head of construction at Sacyr, the company that is executing the project. 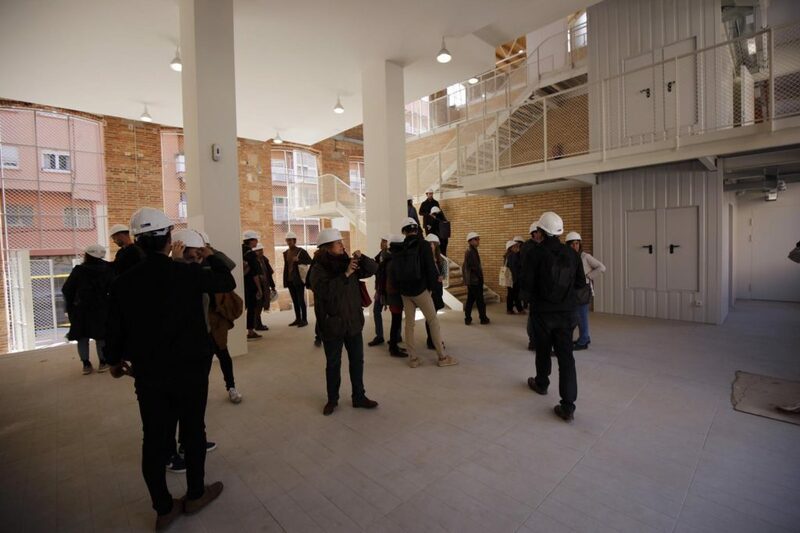 The flats are about to be handed over to their future tenants, who are part of the city’s Rented Housing Pool, “and there are only some details left to be finalised.” The new location of the Colla Castellera Joven in Barcelona was also visited. 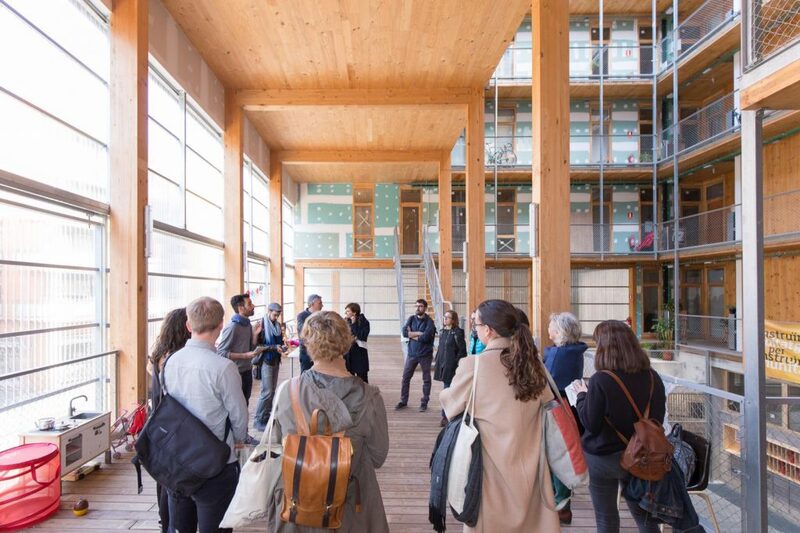 The conference dedicated to getting to know innovative projects that promote social and affordable housing closed with a visit to the housing cooperative of La Borda, in the Sants neighbourhood. It is a self-organised development of future users, which was created to give access to decent, non-speculative housing that puts use value at the centre, through a collective structure. The building, with 28 flats, stands on a municipal lot and is the work of Lacol, which has recently been awarded the City of Barcelona 2018 prize for this project. 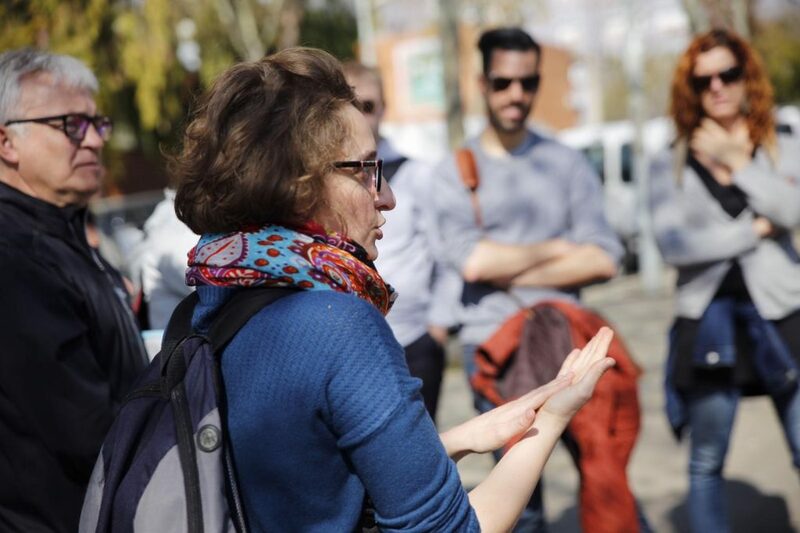 According to members of the cooperative, the characteristics that make La Borda’s project different are, on the one hand, the fact that the collective housing programme has been redefined, with more communal spaces than conventional housing. 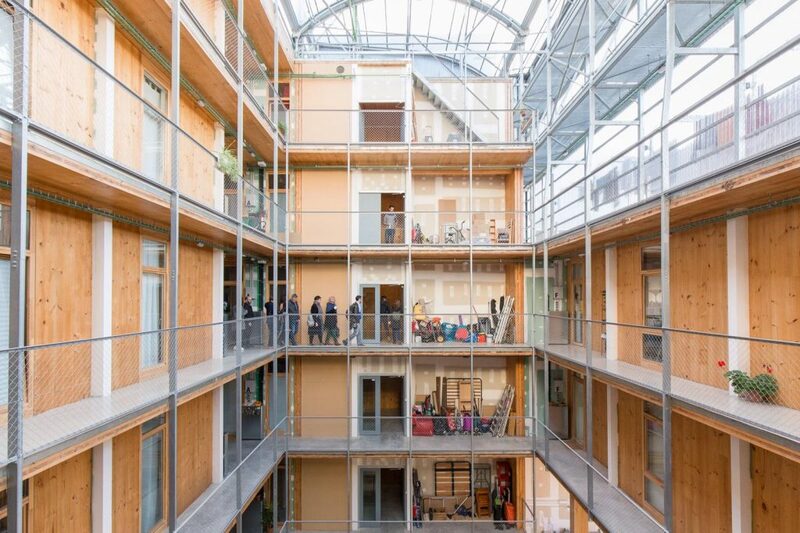 On the other hand, this cooperative housing development stands out for its sustainability and environmental quality, and had a low environmental impact in the construction that was achieved through the use of materials such as structural wood and the incorporation of passive strategies. Finally, the La Borda homes were made possible thanks to the participation of the future residents during the design and development process.